It is 1981. 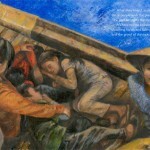 In the middle of the Pacific Ocean, a fishing boat overloaded with 60 Vietnamese refugees drifts. 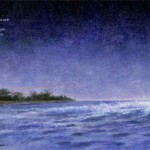 The motor has failed; the hull is leaking; the drinking water is nearly gone. 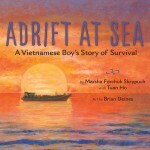 This is the dramatic true story recounted by Tuan Ho, who was six years old when he, his mother, and two sisters dodged the bullets of Vietnam’s military police for the perilous chance of boarding that boat. 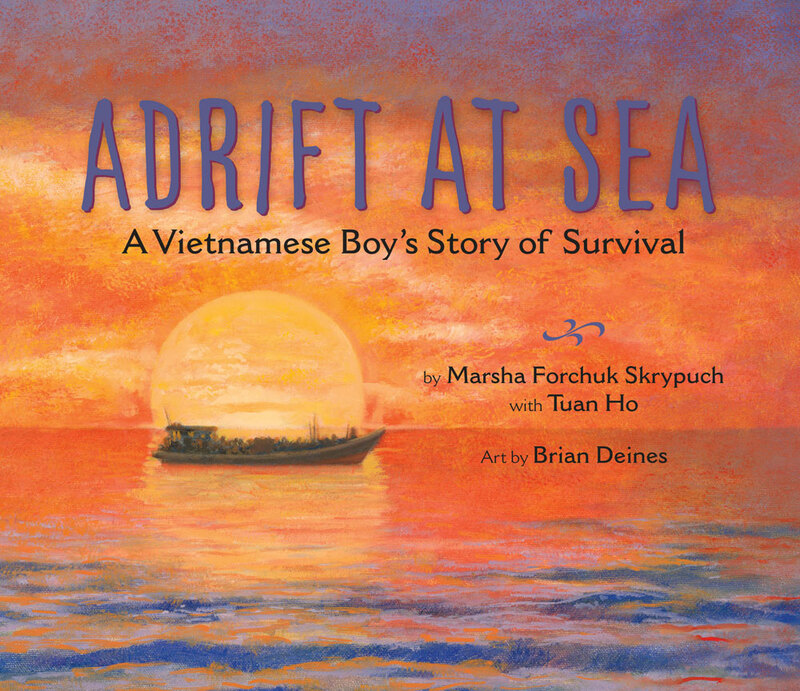 Told to multi-award-winning author Marsha Forchuk Skrypuch and illustrated by the celebrated Brian Deines, Tuan’s story has become Adrift At Sea, the first picture book to describe the flight of Vietnam’s “Boat People” refugees. 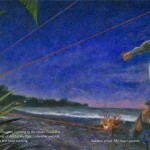 Illustrated with sweeping oil paintings and complete with an expansive historical and biographical section with photographs, this non-fiction picture book is all the more important as the world responds to a new generation of refugees risking all on the open water for the chance at safety and a new life.